A musical about the life of former First Lady Imelda Marcos called Imelda, A New Musical just opened at the Julia Miles Theatre in Manhattan, reports The Huffington Post. Featuring a song titled "3,000 Pairs of Shoes," the musical traces Mrs. Marcos' life from the 1940s to the 1980s. Jaygee Macapugay, who plays the title role, wears eight different pairs of shoes in just two acts. 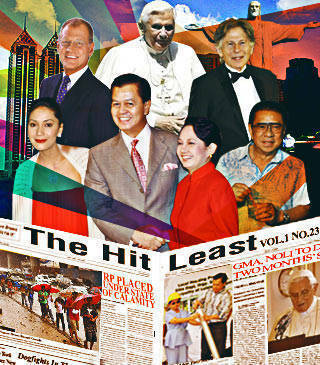 According to the Wall Street Journal, the production "attempts to portray a rounded picture of Marcos that goes beyond the corruption that marked the regime." Tisa Chang of Pan Asian Repertory, which produced the musical, said: "We really wanted to give a fuller view…sometimes time allows us to take another look at people."